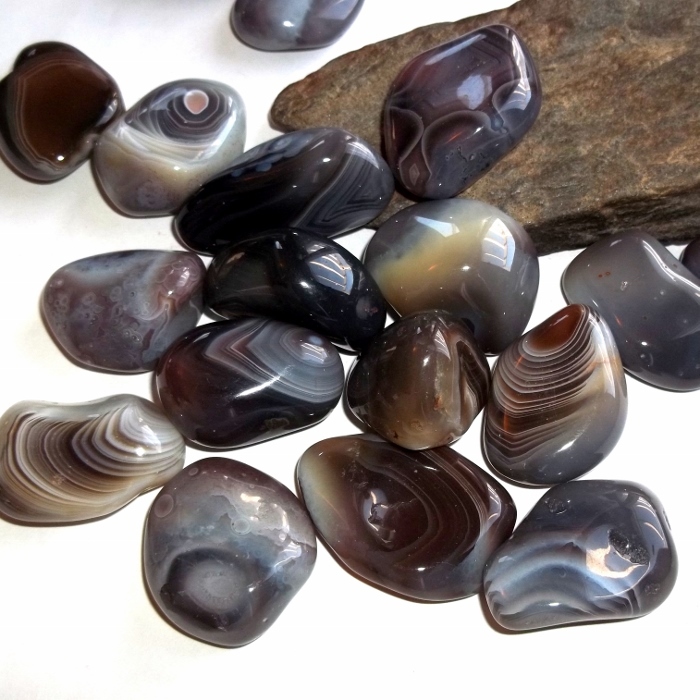 Stunning Botswana agate gemstones specimens for your rock collection. Botswana agate gemstone has incredible dimension and shadowing throughout the stone, with light taupe brown and cream white color variation. 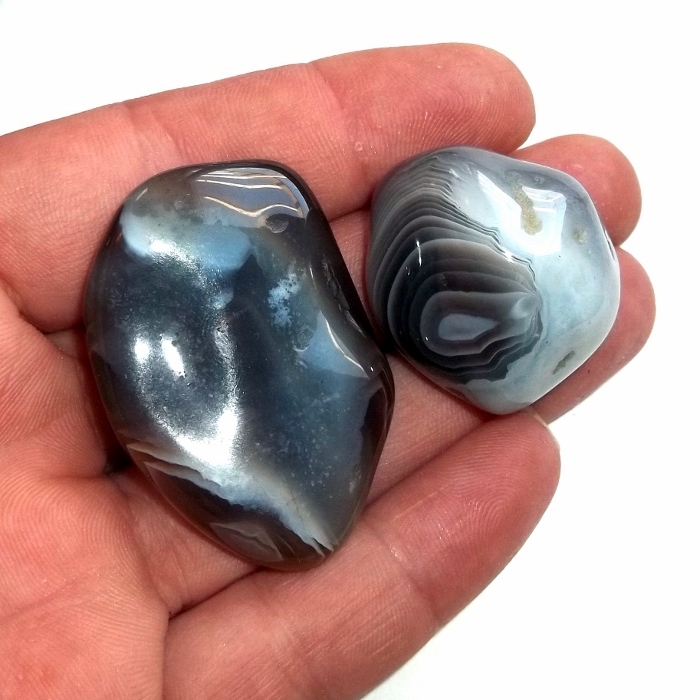 Botswana agate, as the name would suggest, is mined only in Botswana, Africa, and is connected to the energy of smoke and fire. 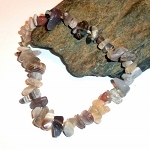 Botswana agate is useful for quitting smoking, alleviating depression, and stimulating the circulatory system. 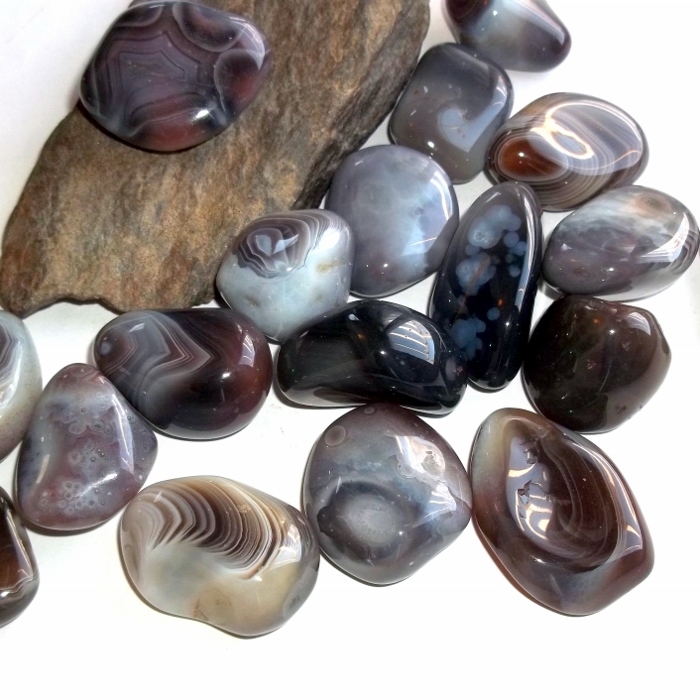 Botswana agate gemstones are all highly polished, 1 inch to 1 3/4 inches. Price is for one stone.